When you think of interior designer, Caitlin Wilson, what do you imagine? 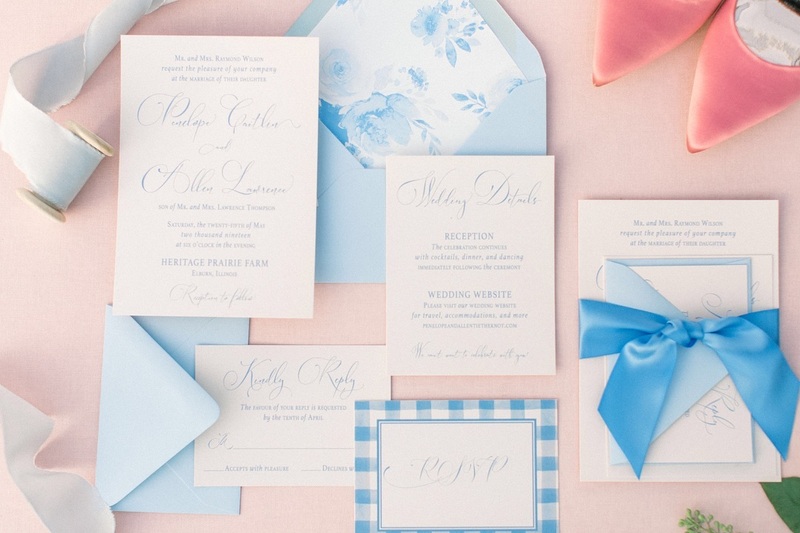 Blue and pink, lots of floral patterns, and a little buffalo check. Traditional with a twist. 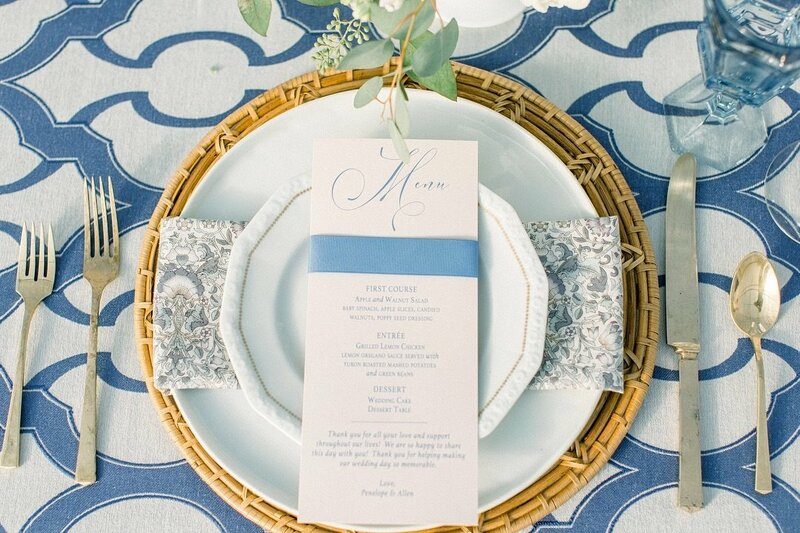 This Editorial Shoot, inspired by Caitlin Wilson Design, has an overall classic and traditional style with some unexpected details. 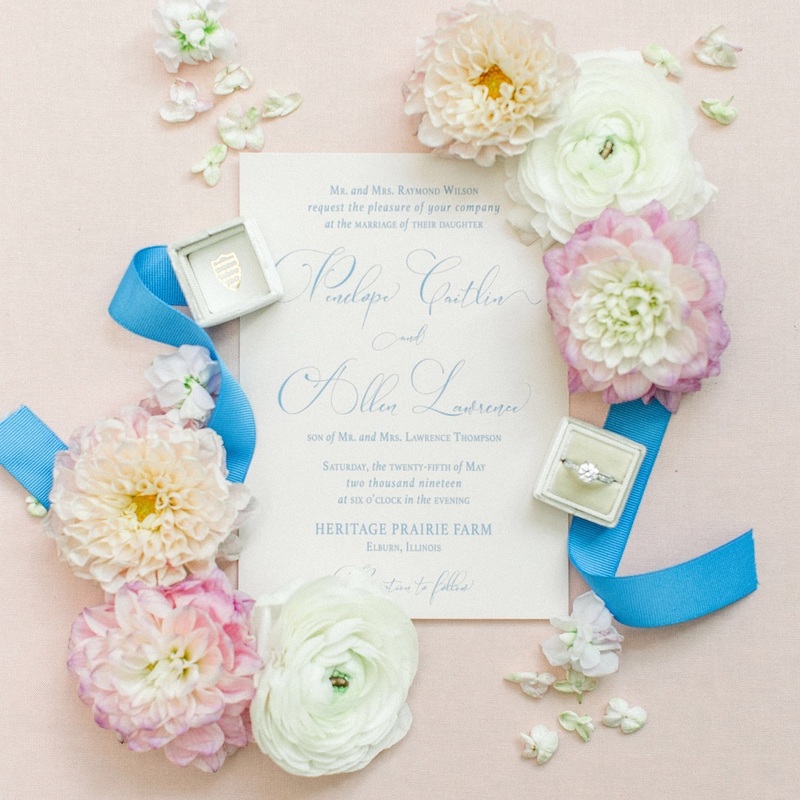 When Lisa Hufford Photography asked me to be part of this shoot at Heritage Prairie Farms, I was absolutely honored and could not wait to get started designing this classic wedding invitation suite. 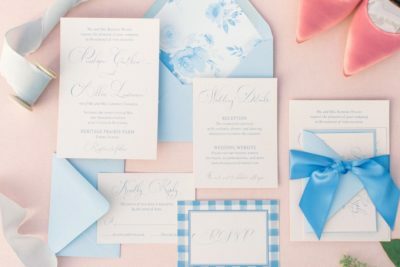 Pale pink paper with a romantic script font in cornflower blue ink was the perfect fit for this Caitlin Wilson inspired wedding invitation suite. 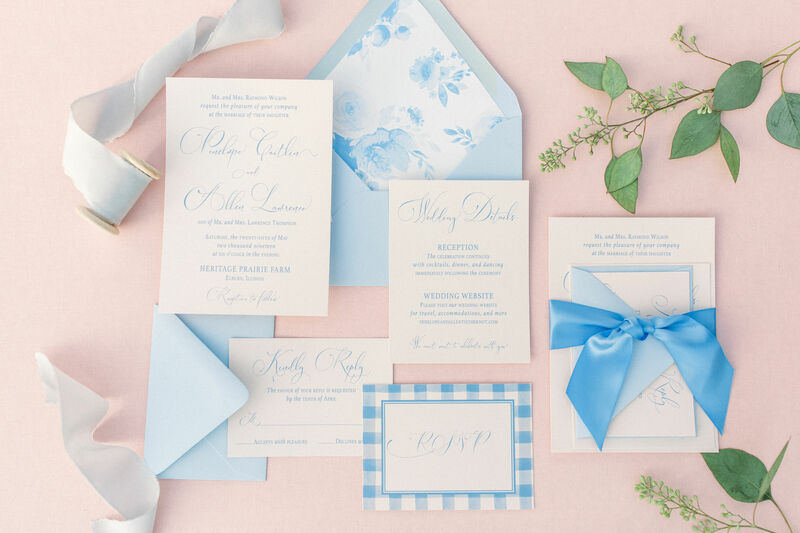 Using her floral wallpaper as inspiration for the envelope liner with light blue envelopes, bringing the buffalo check into the back of the RSVP cards, and wrapping this all up with a cornflower blue satin ribbon – just made my heart sing! This design was echoed out through all the day-of stationery, keeping the traditional vibe with with a little more texture and unexpected touches with ribbons, wax seals, and of course buffalo check! This romantic and classic wedding invitation suite has now been added to the Emery Ann Collection as The Penelope Suite. Make this wedding invitation yours, with or without the buffalo check and customize it to fit your wedding day.